The CSTA is seeking an Executive Director. A link to the full position profile with the official details is here. That’s the official list of requirements. I have a bit of a wish list myself. It’s an ideal and I don’t know that anyone fits it all but since I have absolutely nothing to do with who is selected I’m going to give some opinions anyway. It’s my blog. The executive director has to do a lot of fundraising (something I am not that good at BTW – it’s hard) so previous experience dealing with funding organizations like NSF, various foundations, and large tech companies would be very helpful. Closely related to this is the ability to make the case for CSTA. 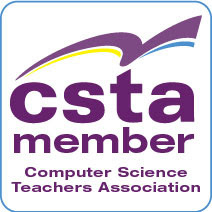 By that I mean able to communicate the unique nature of CSTA (by, for, and about the people who teach), explain its contributions to expanding CS (research, advocating for over 10 years – since before CS Ed became “a thing”), and all the various ways CSTA is helping CS education (conference, chapters, standards development, and more). Clearly we need a strong and effective communicator. Our EDs have to present to a lot of different audiences both as a speaker and a writer. CSTA is getting bigger all the time in membership and that growth has to be managed well. It also means that we have to have a staff that works together and is well supported by the person at the top. I think that is laid out in the official requirements fairly well. 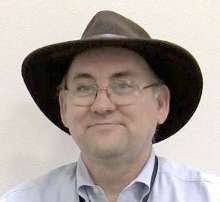 CSTA is a special organization to me and I think to many members. We need a very special person in the Executive Director role. Here’s hoping we find someone great. Who Wants to be the DNS Server?